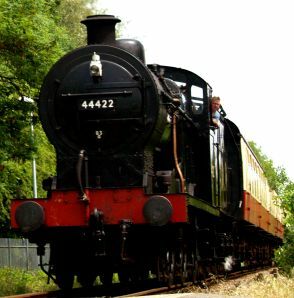 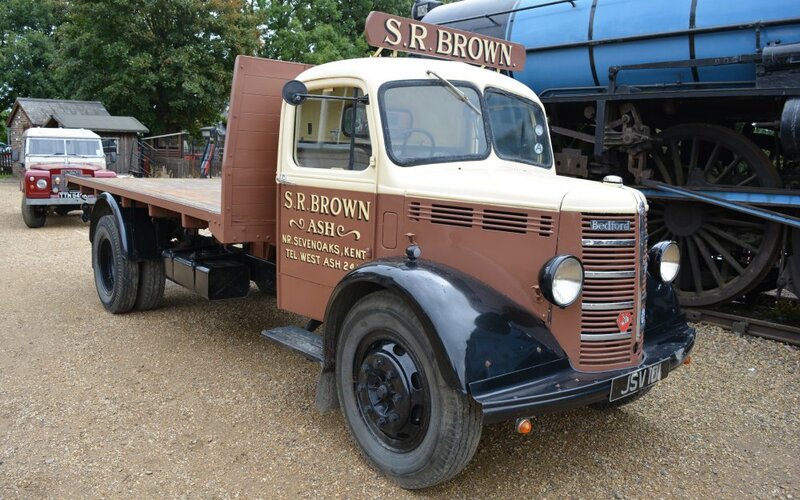 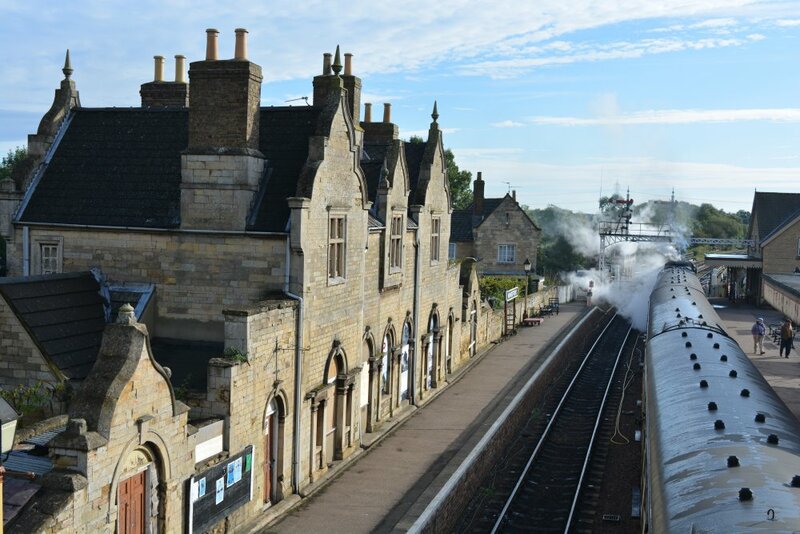 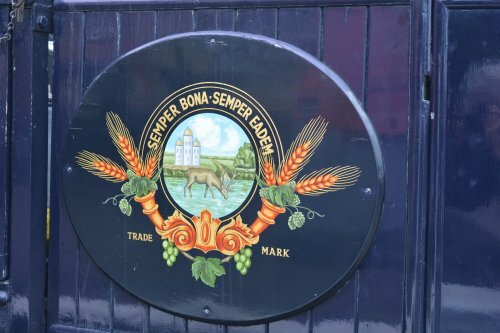 The heritage steam & diesel railway line, known as the Nene Valley Railway, runs for Peterborough (Nene Valley) station to Wansford station via Orton Mere, Ferry Meadows, and beyond Wansford to Yarwell Junction. 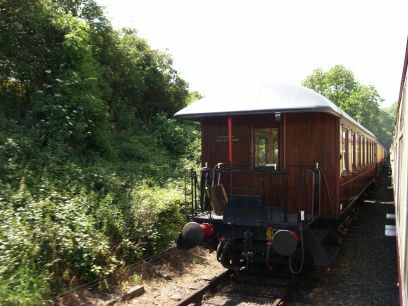 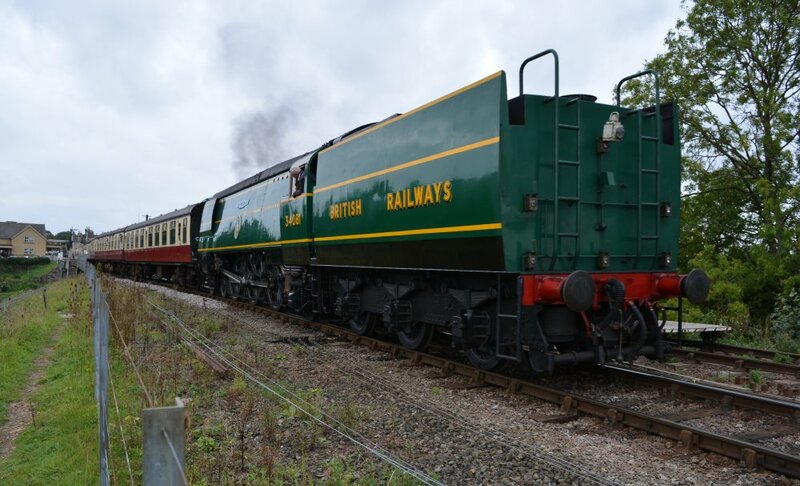 So, of we go for a great steam train ride through pleasant countryside on this great heritage railway line and live steam action is the real deal! 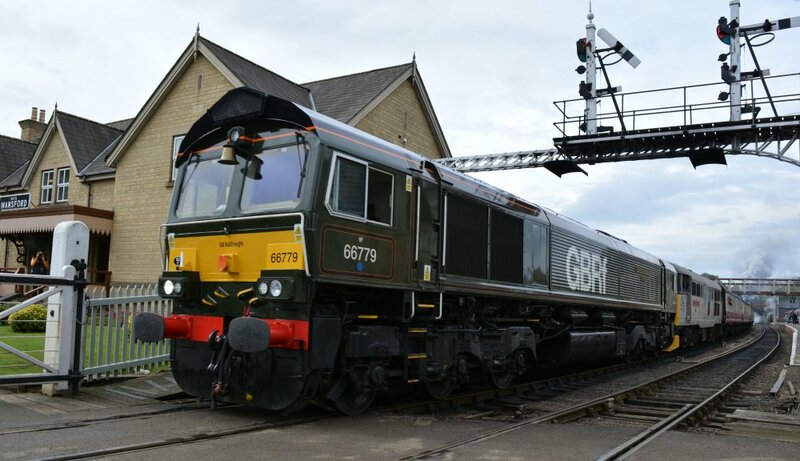 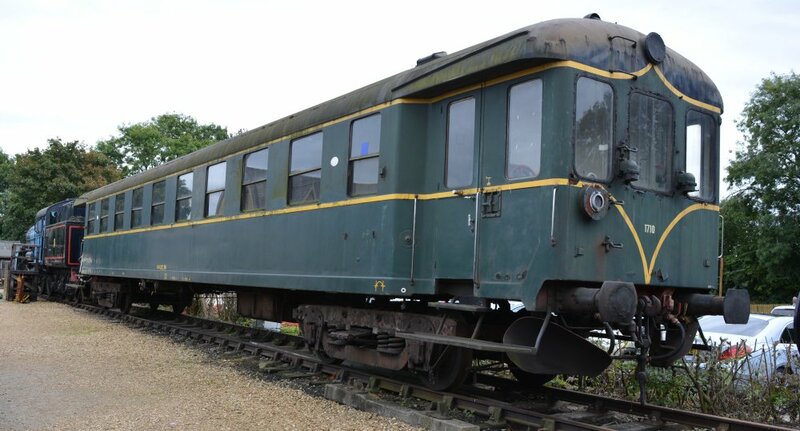 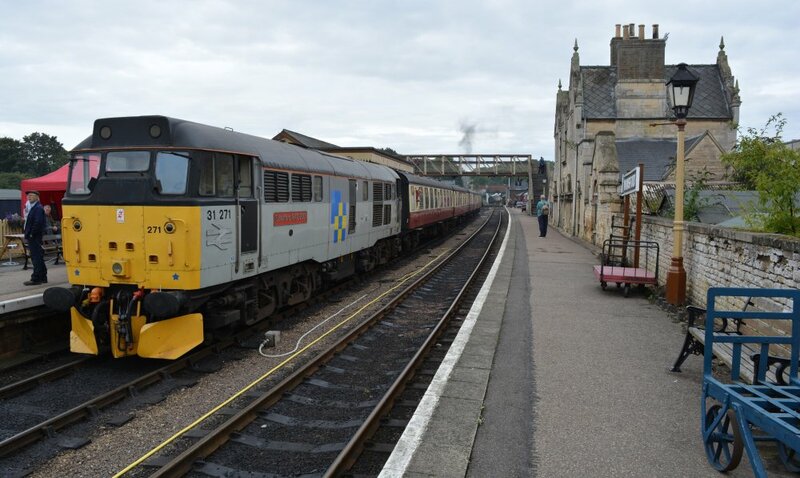 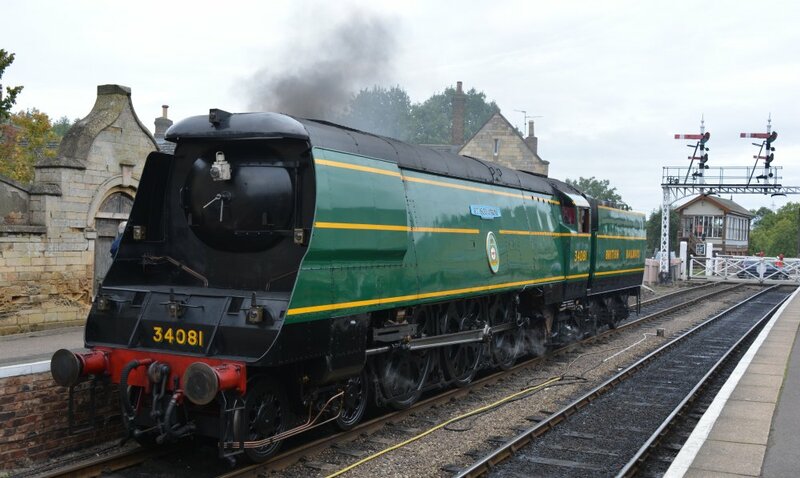 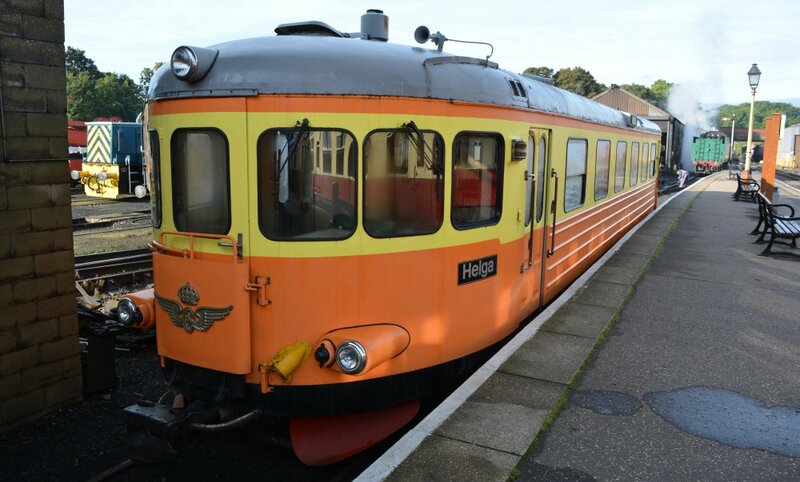 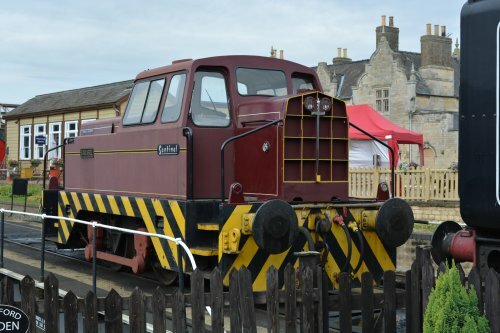 The photographs were taken one day on the Nene Valley Railway (NVR Mixed Traffic Gala, Sept. 2017) in June 2016 (44422 pictures) and 'dispersed' pictures from the Nene Valley Railway (NVR Mixed Traffic Gala, Sept. 2017). 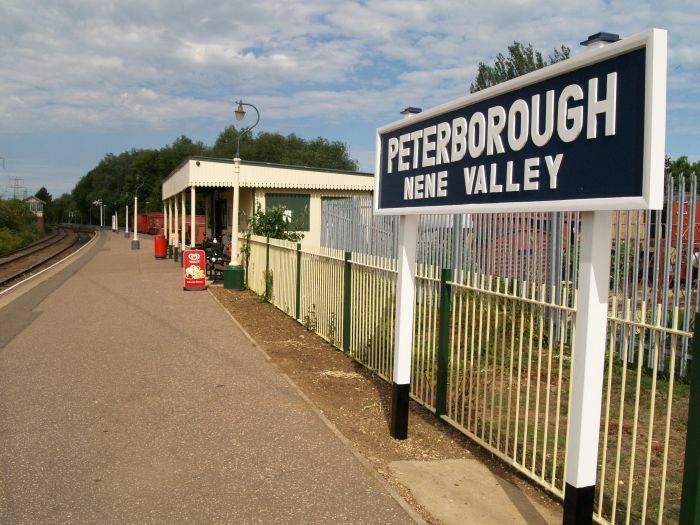 Nene Valley Railway: Peterborough Nene Valley Station, the eastern end of the start of the Nene Valley Railway. 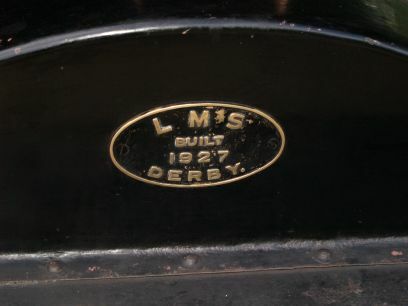 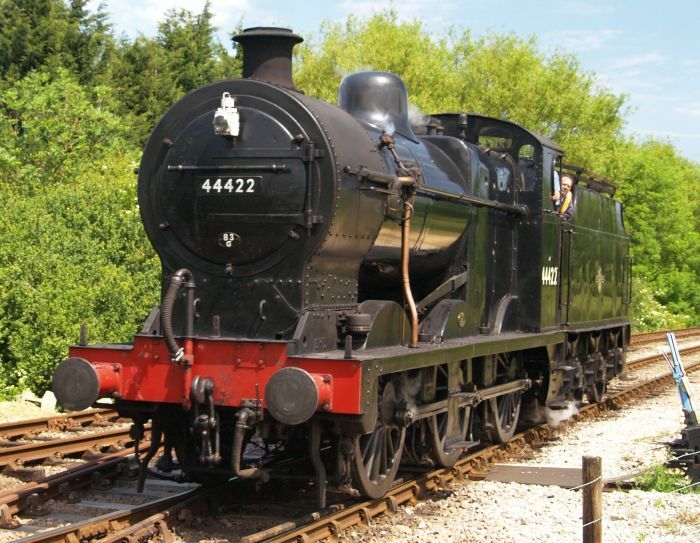 Nene Valley Railway: The steam train was hauled by the ex LMS/BR 0-6-0 Class 4F Fowler steam locomotive 44422 built by the LMS railway company at Derby Works in 1927. 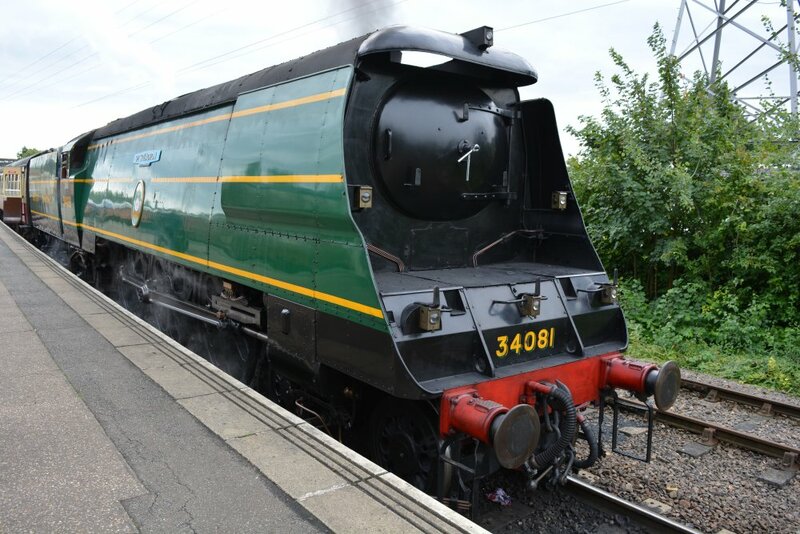 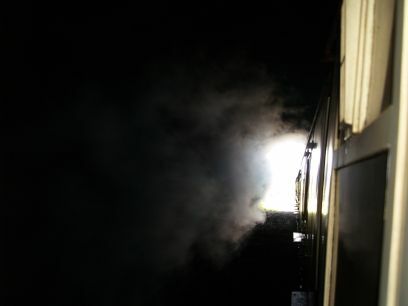 Nene Valley Railway: Steam train leaving Peterborough. 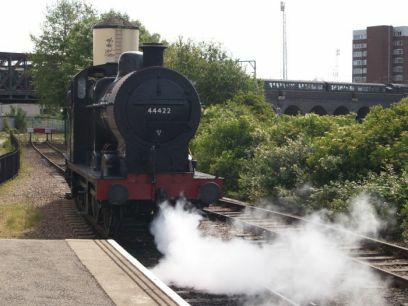 Nene Valley Railway: 44422 arriving back in Peterborough, with the main-line railway bridges over the River Nene in the distance. 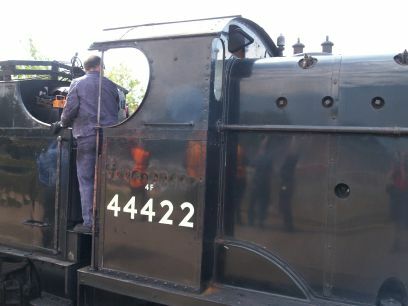 Nene Valley Railway: Shot of 44422 working hard out of Peterborough with a train to Wansford. 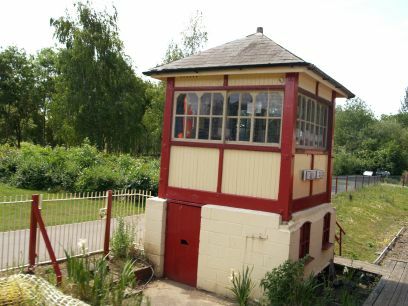 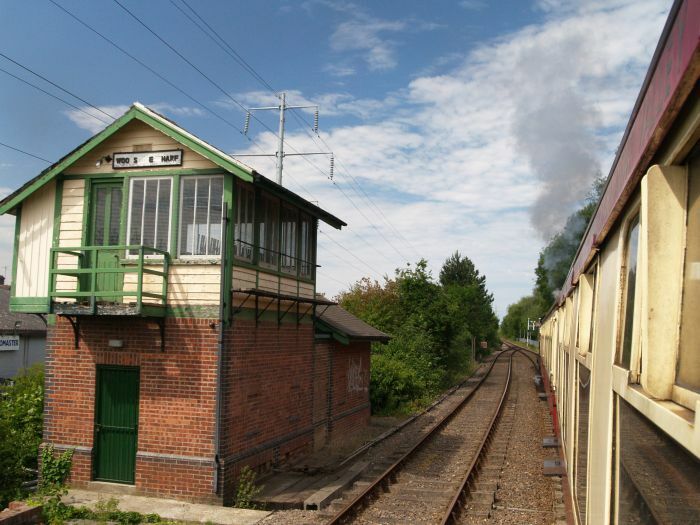 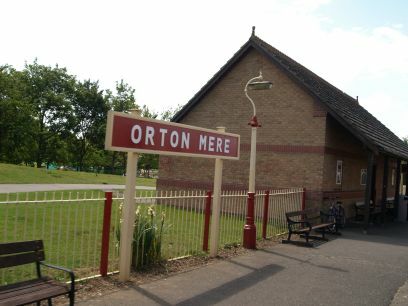 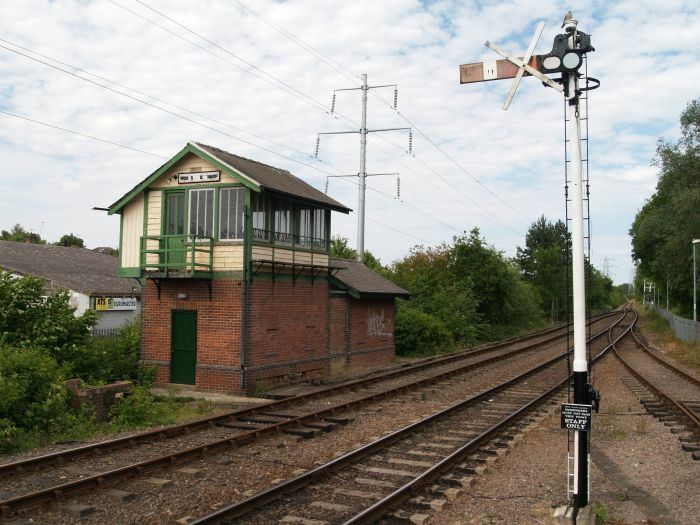 Nene Valley Railway: Orton Mere station and signal box on the Nene Valley Railway. 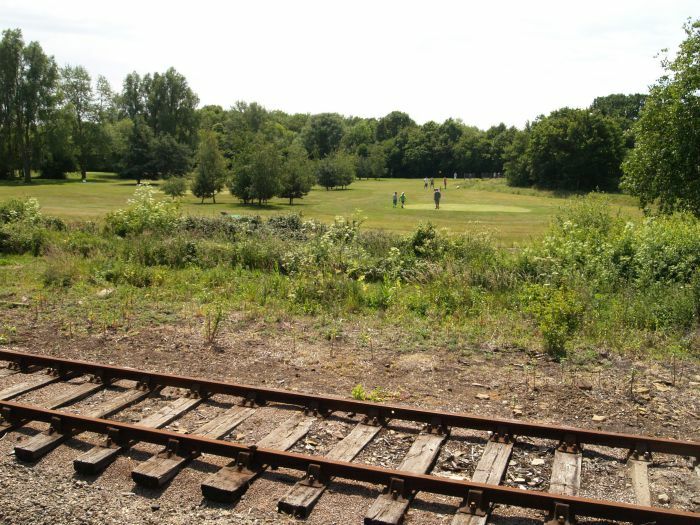 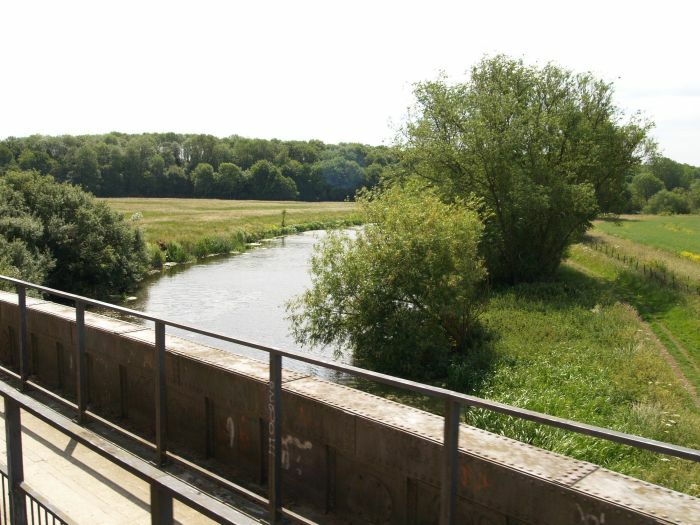 Nene Valley Railway: Golf course by Ferry Meadows Station. 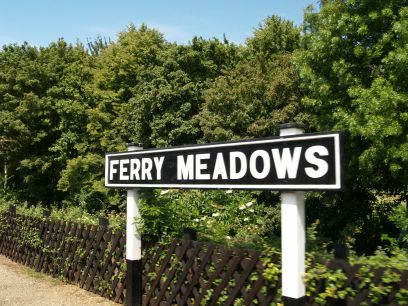 Ferry Meadows Station on the Nene Valley railway. 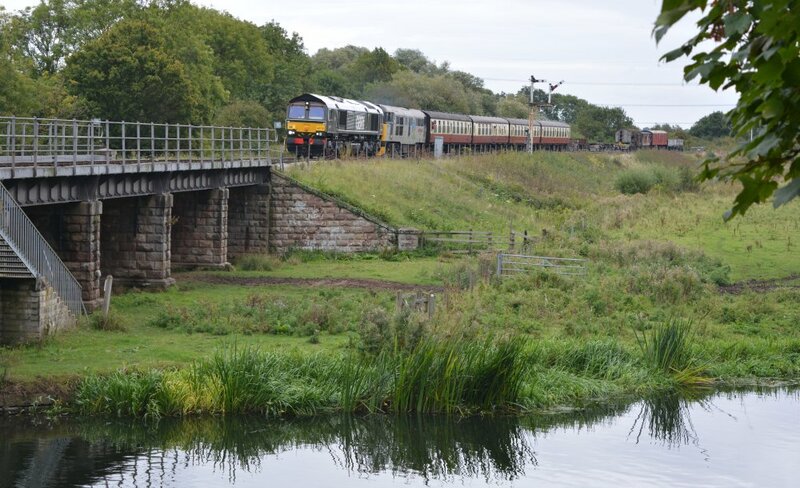 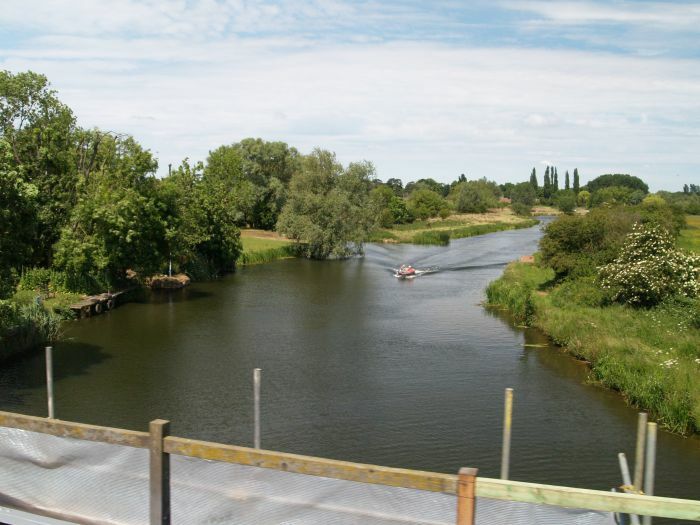 Nene Valley Railway: Crossing the River Nene between Wansford Station and Ferry Meadows Station. 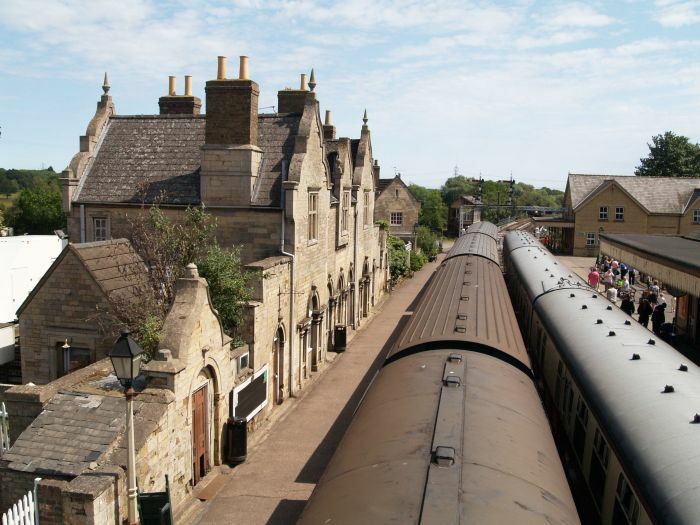 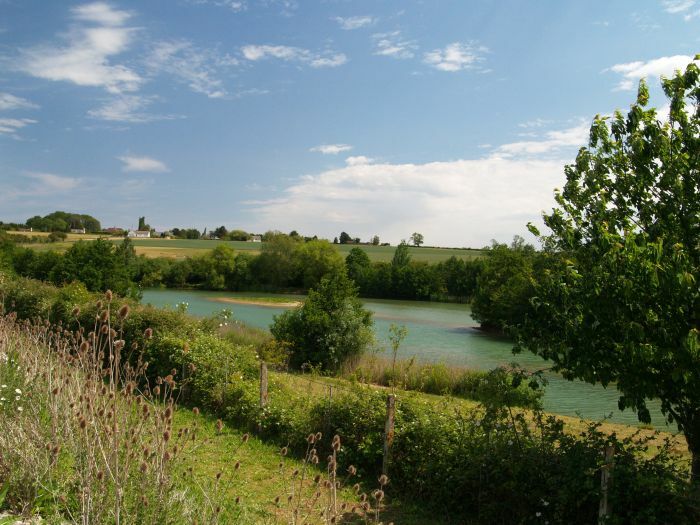 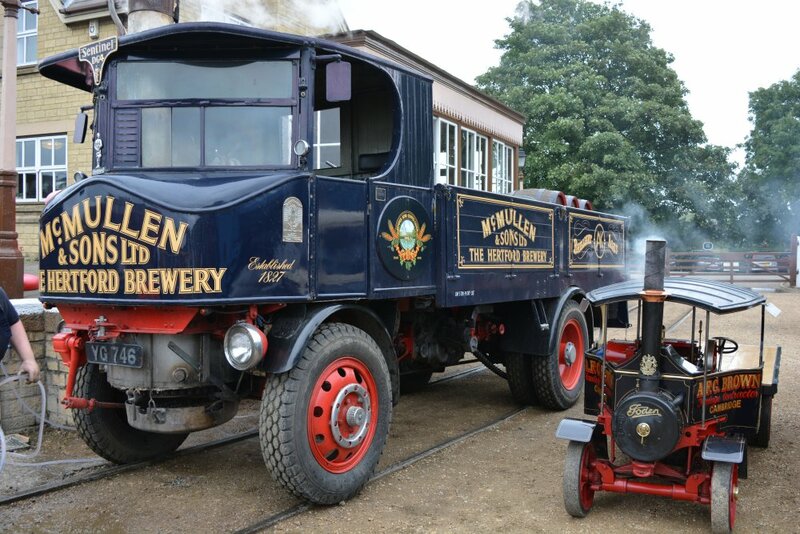 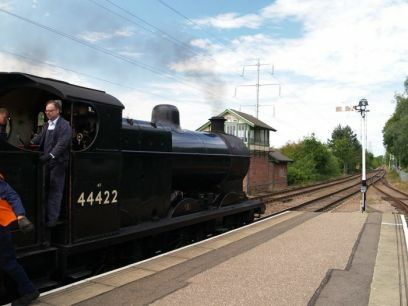 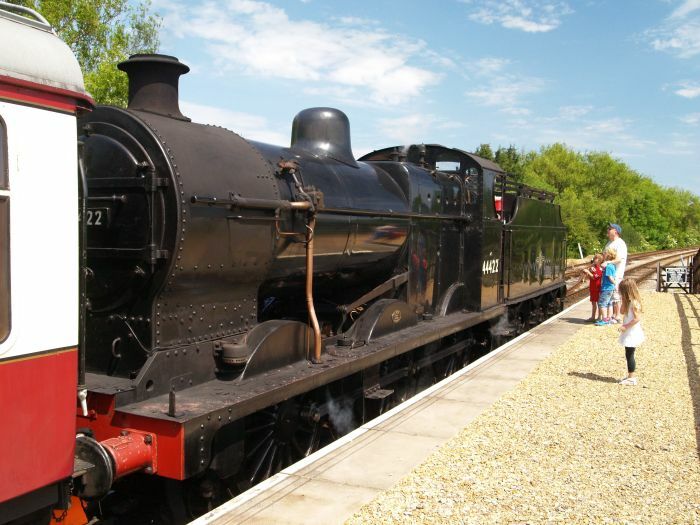 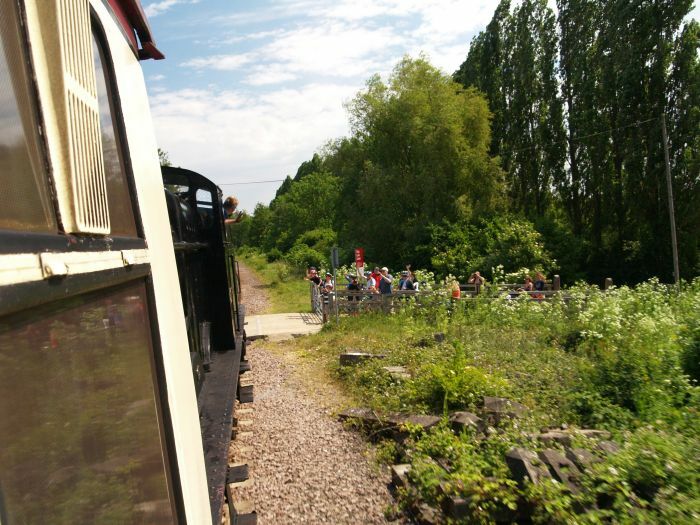 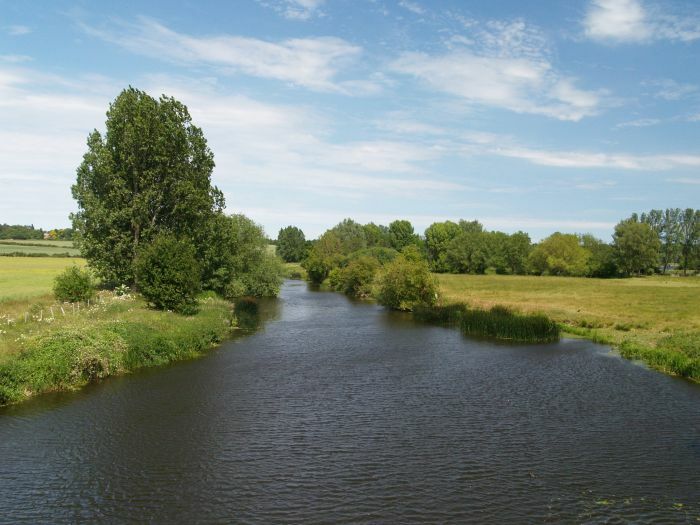 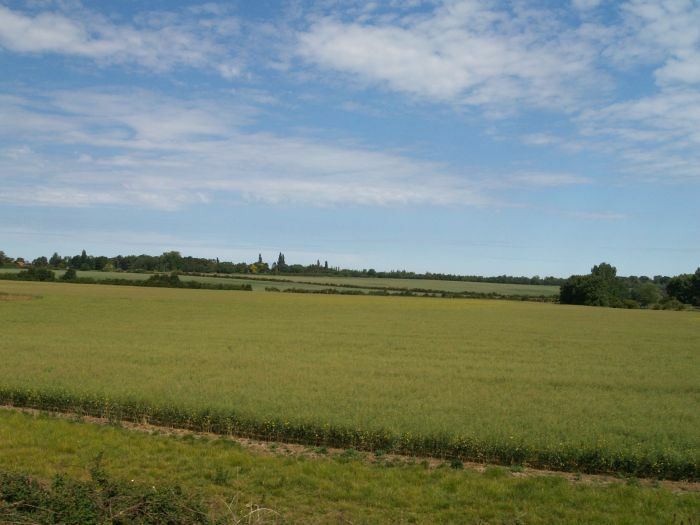 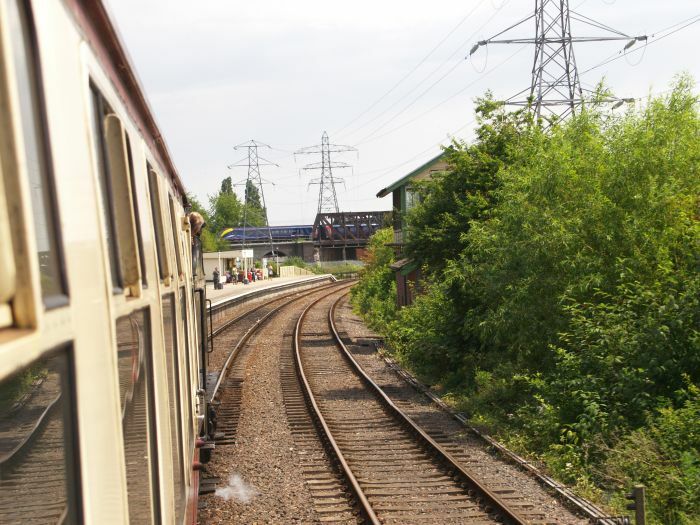 Nene Valley Railway: On either side of the track are pleasant rural scenes and farming landscape. 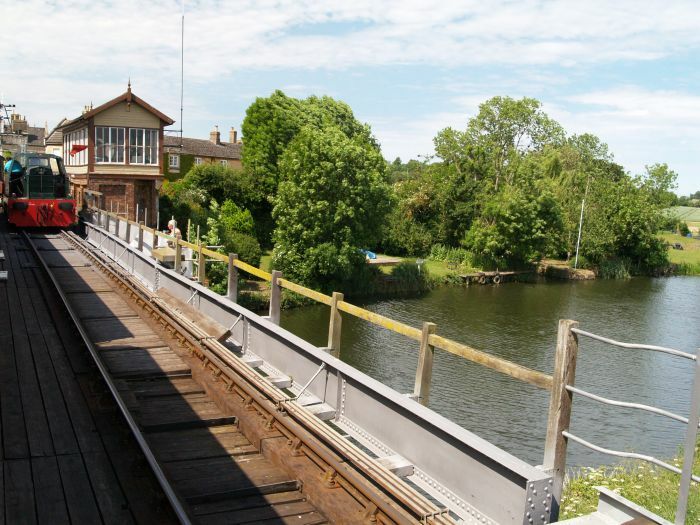 Nene Valley Railway: Crossing the River Nene to enter Wansford Station on the Nene Valley railway. 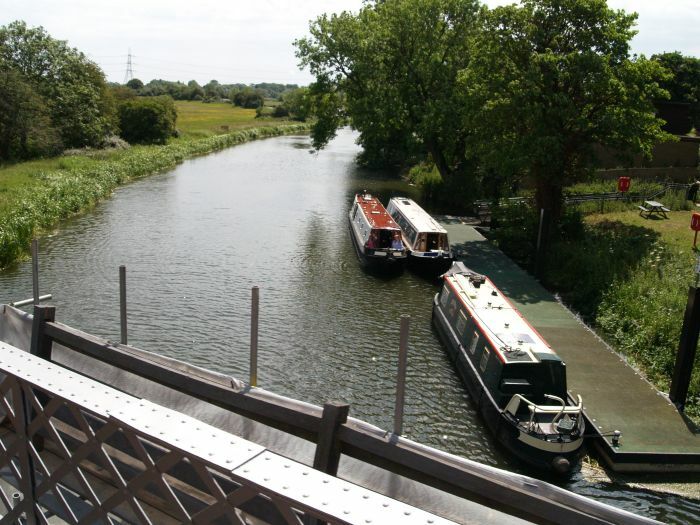 Nene Valley Railway: A pleasure craft and barges on the River Nene at Wansford. 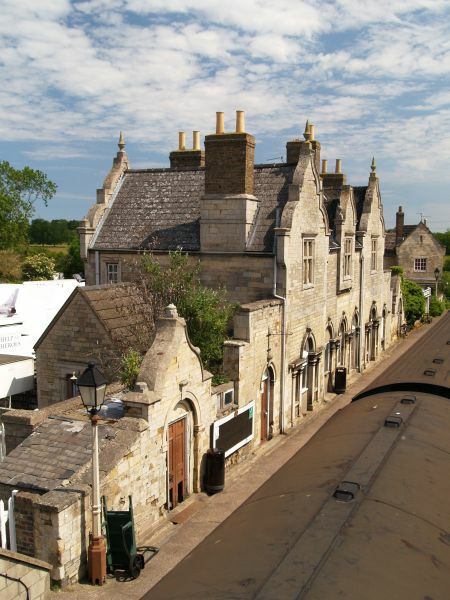 Nene Valley Railway: The handsome building of Wansford Station, looking beautiful in the afternoon sunlight. 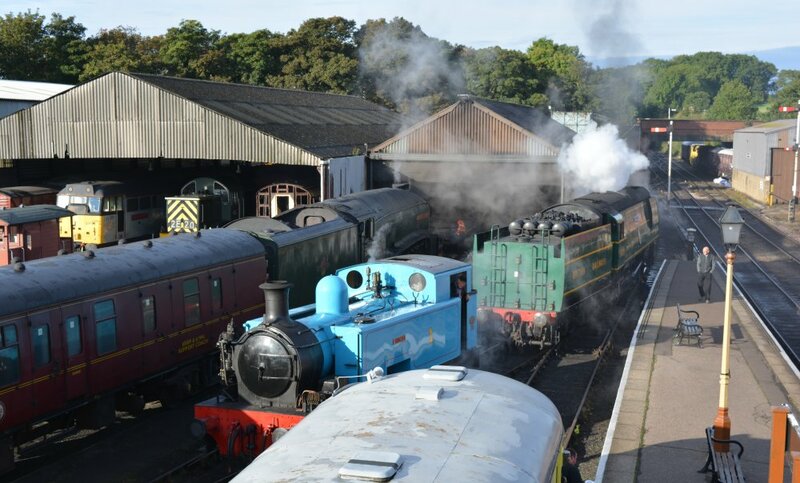 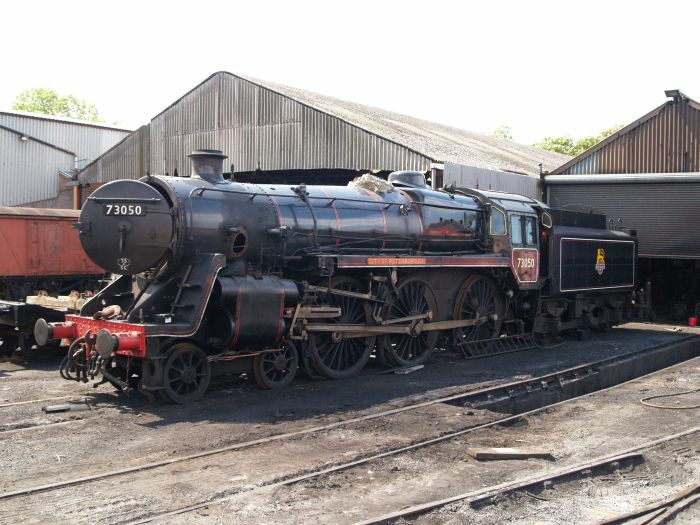 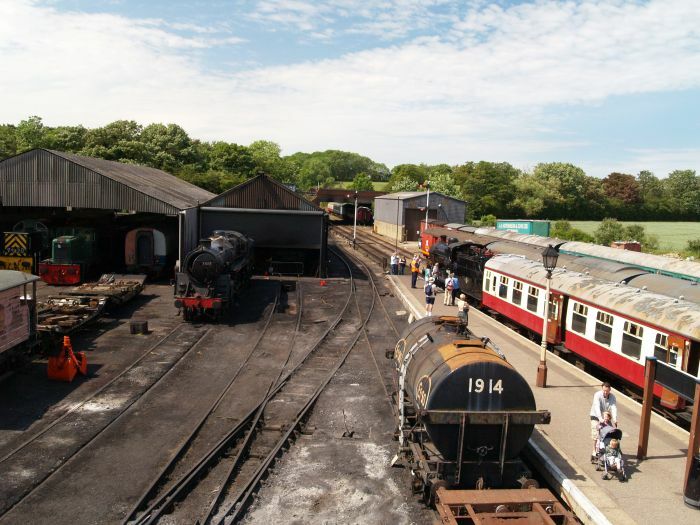 Nene Valley Railway: The workshops, shed-depot and marshalling yard at Wansford Station. 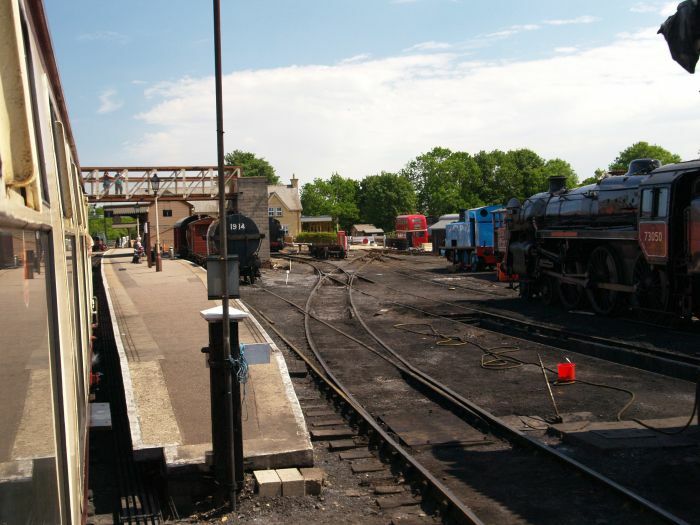 Nene Valley Railway: The turntable at Wansford Station. 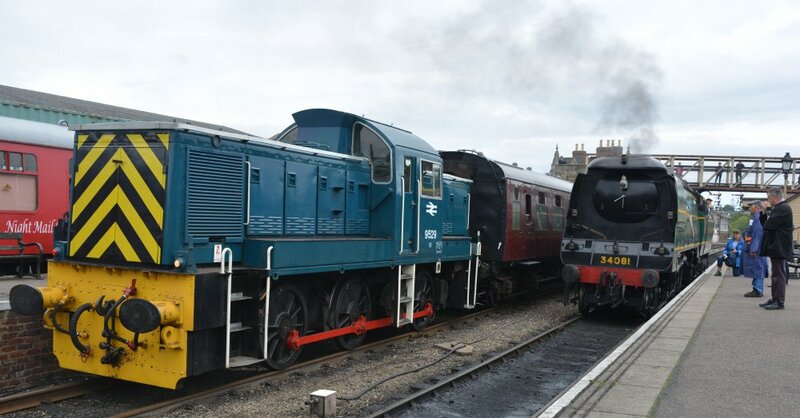 Nene Valley Railway: Ex BR Class 5 4-6-0 standard locomotive built at Derby Works in 1954, 73050 CITY OF PETERBOROUGH - most aptly named! 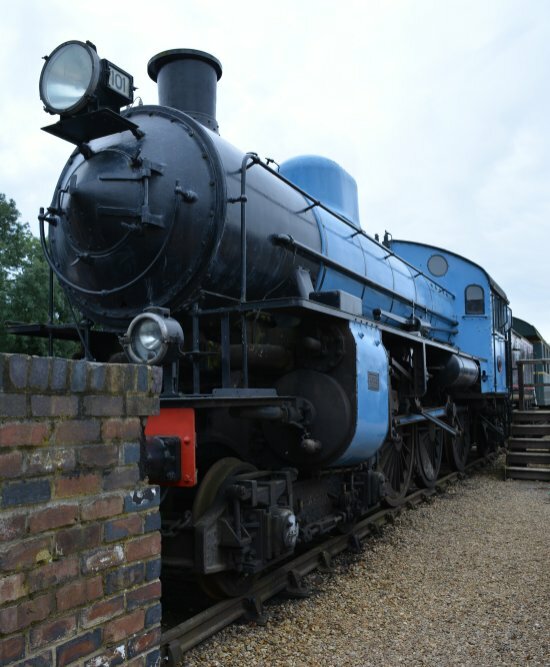 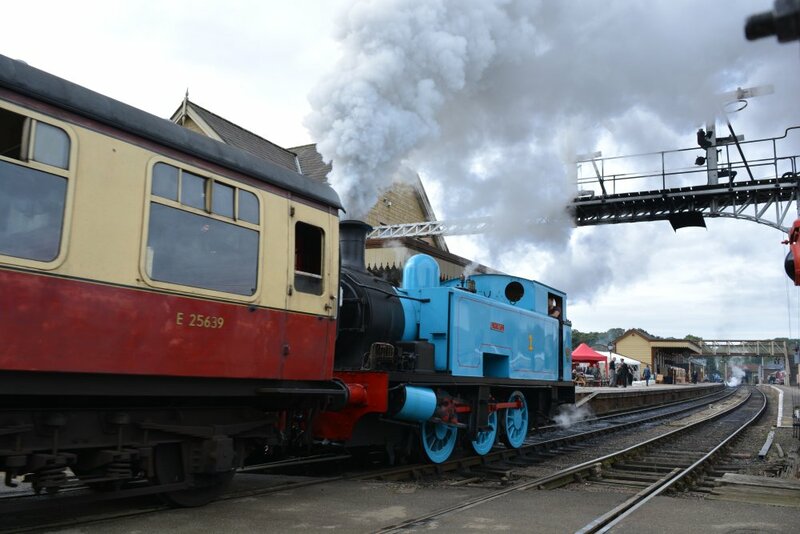 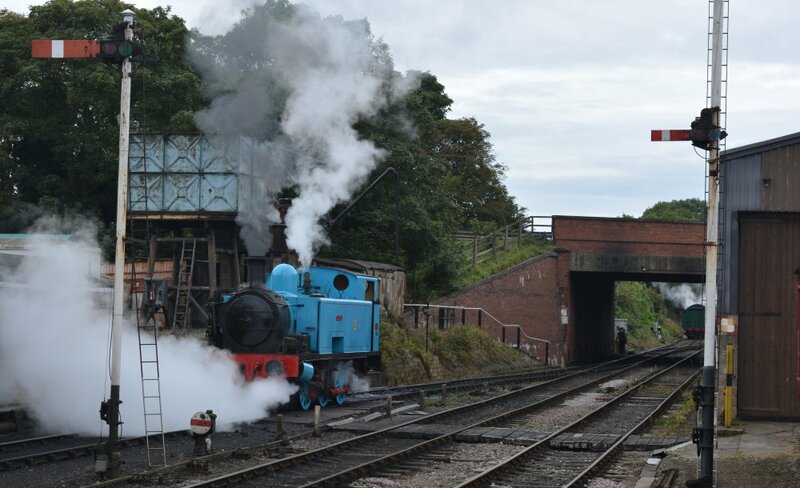 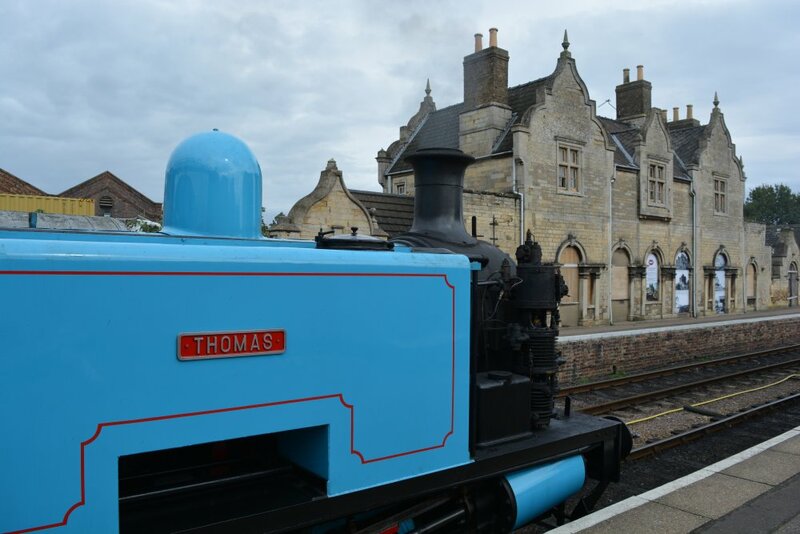 Nene Valley Railway: THOMAS the 0-6-0T tank engine! 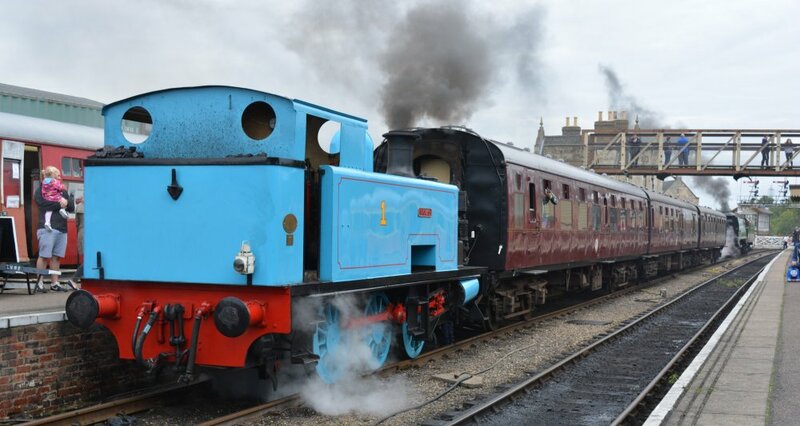 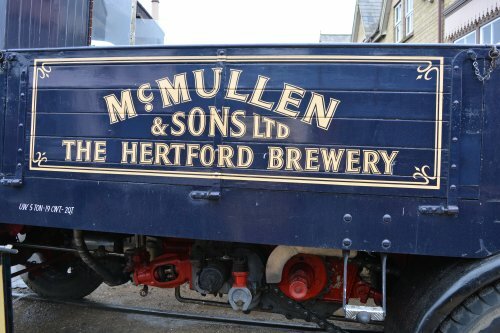 THOMAS 'the tank engine' was built by Hudswell Clarke in 1947 (engine 1800) and prettily painted steam locomotive spent its working life shunting wagons at the Peterborough factory of the British Sugar Corporation. 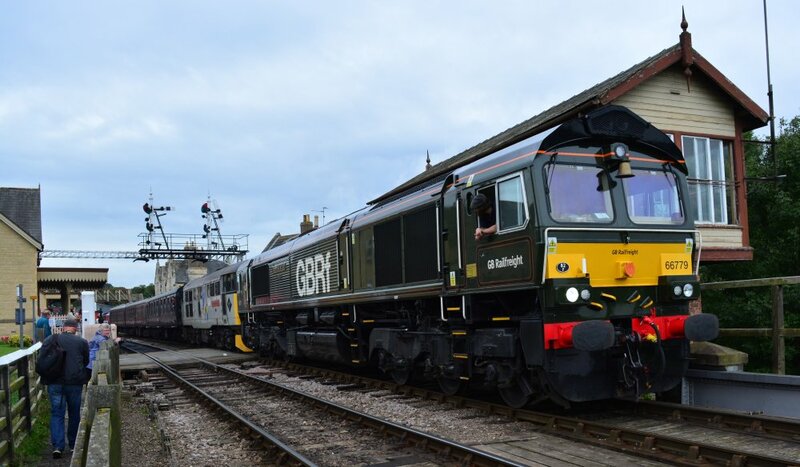 A Class 66 diesel and a Class 31 diesel meeting up to take a double headed train to Peterborough, Nene Valley Railway (NVR Mixed Traffic Gala, Sept. 2017). 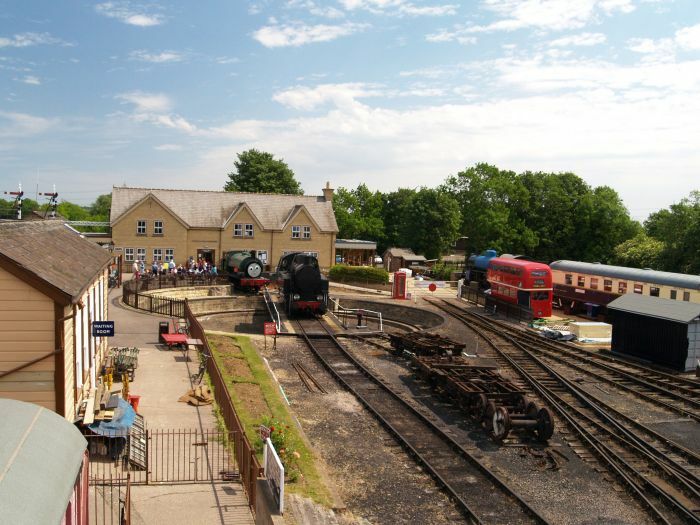 Note the relatively new station building complete with booking office, shop and cafe. 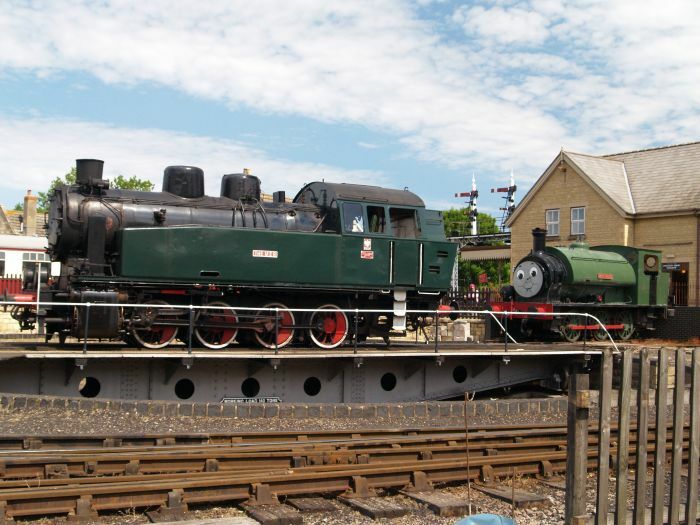 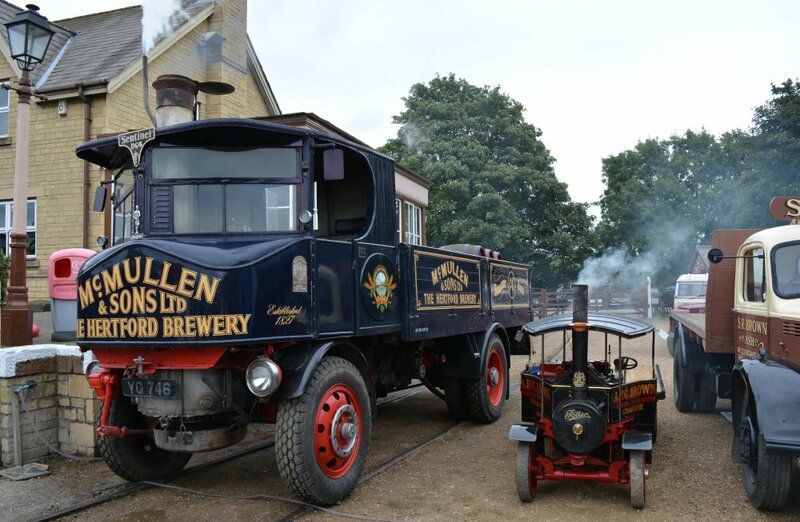 Nene Valley Railway: A powerful 'Continental' 0-8-0 tank engine next to a somewhat smaller 'British' 0-6-0 saddle tank steam locomotive. 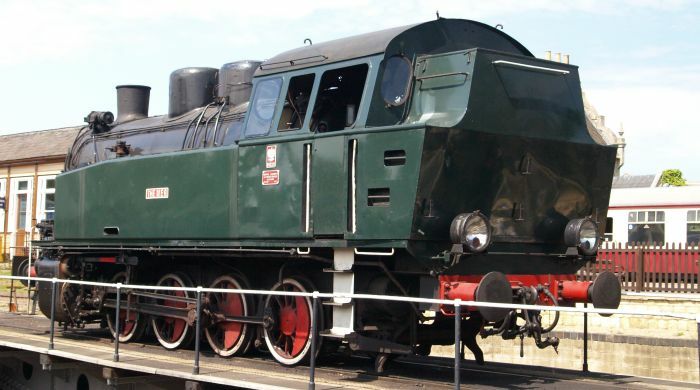 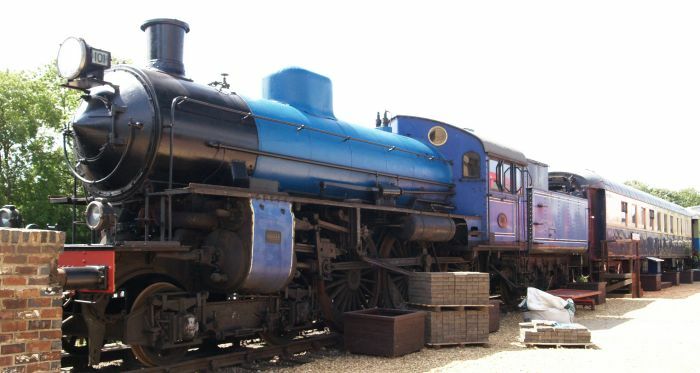 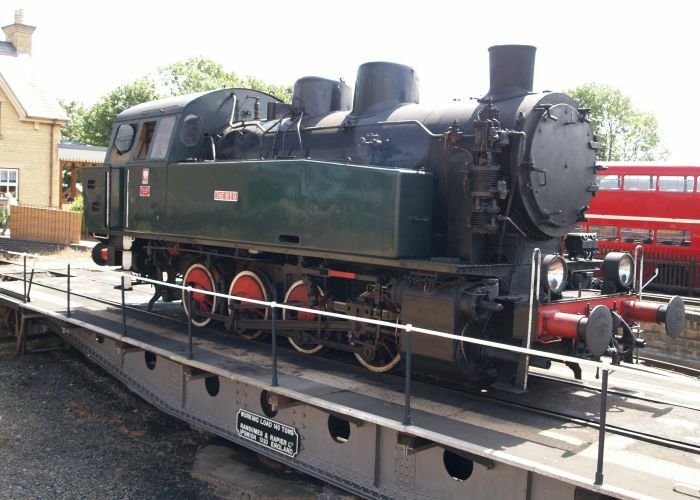 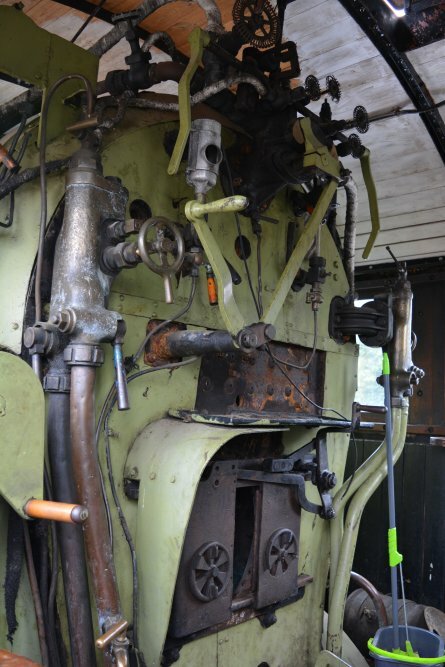 Nene Valley Railway: THE MEG steam loco, as it has been named, is a powerful Polish PKP 0-8-0T tank engine Class 406 Slask/TKp, built by Fablok of Chrzanow in Poland in 1959. 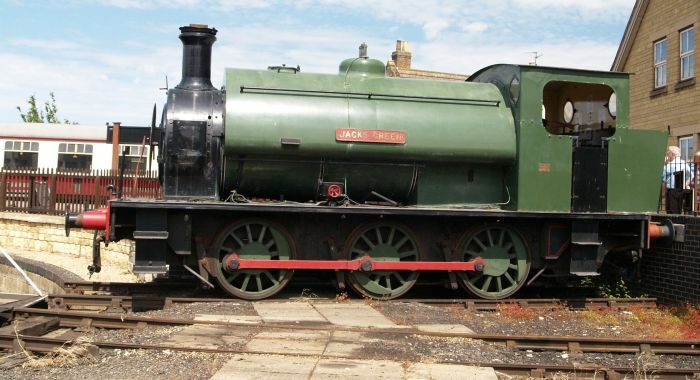 Nene Valley Railway: The green liveried JACKS GREEN is an 0-6-0ST saddle tank engine built by Hunslet in 1953. 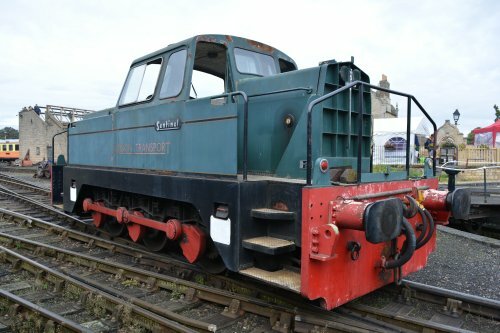 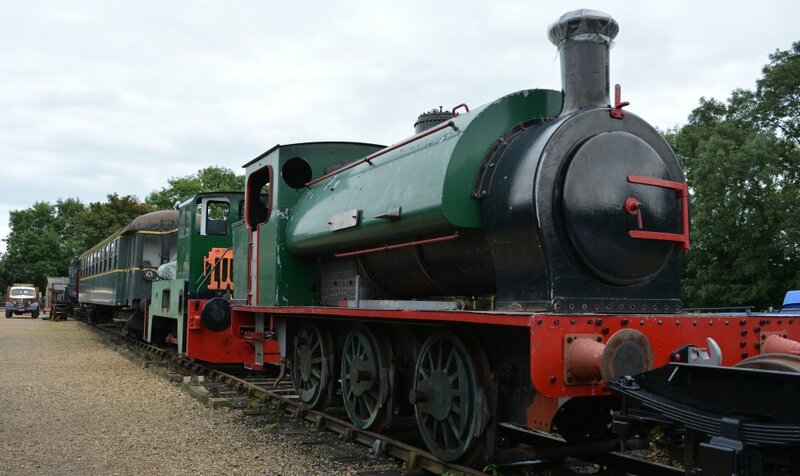 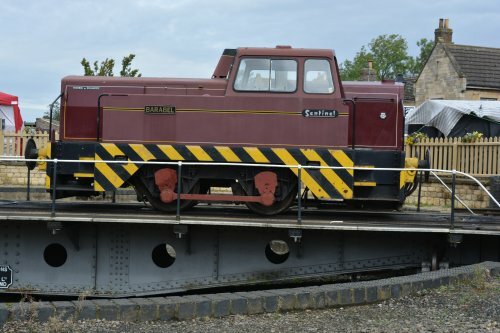 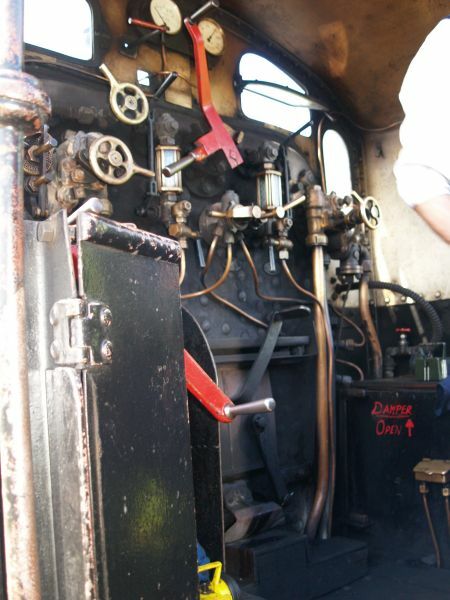 The Nene Valley railway has several Sentinel 0-4-0 and 0-6-0 diesel shunters. 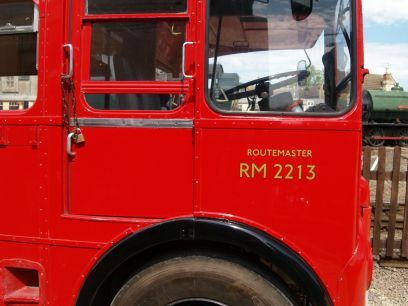 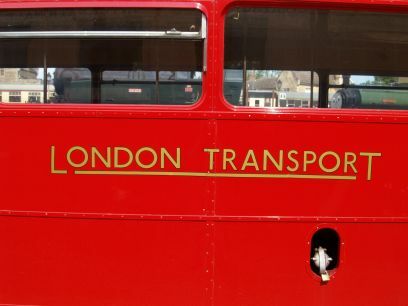 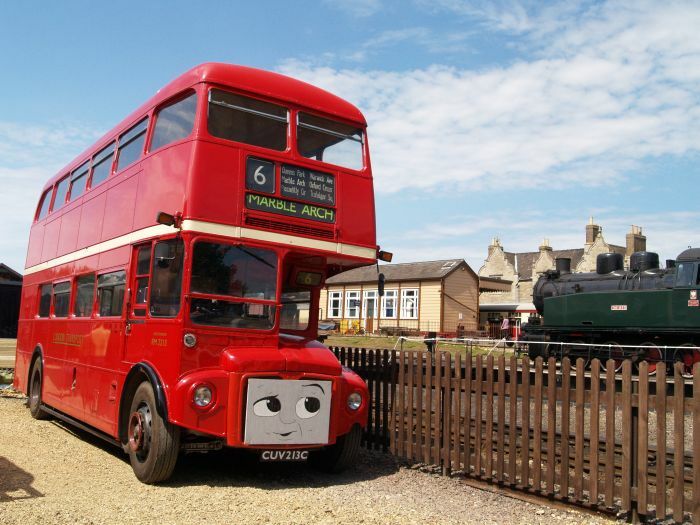 One is ex London Transport. 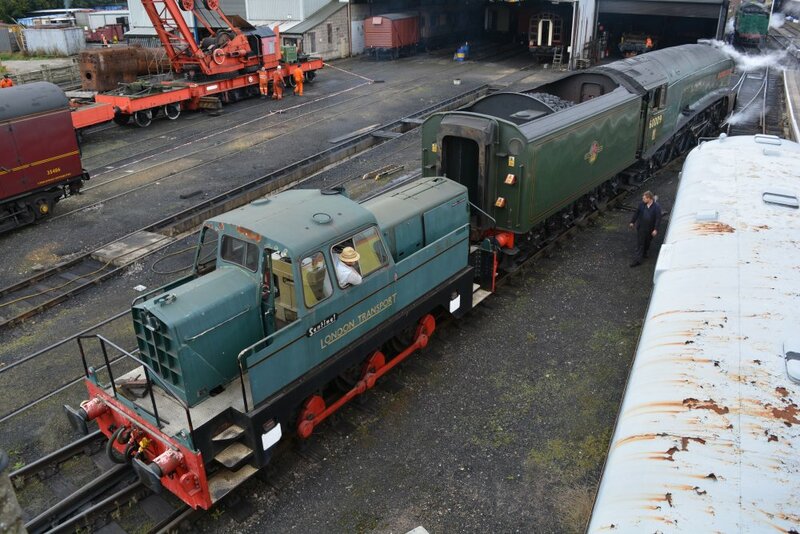 A sentinel shunting A4 Pacific 60009 into the shed for an overnight stay! 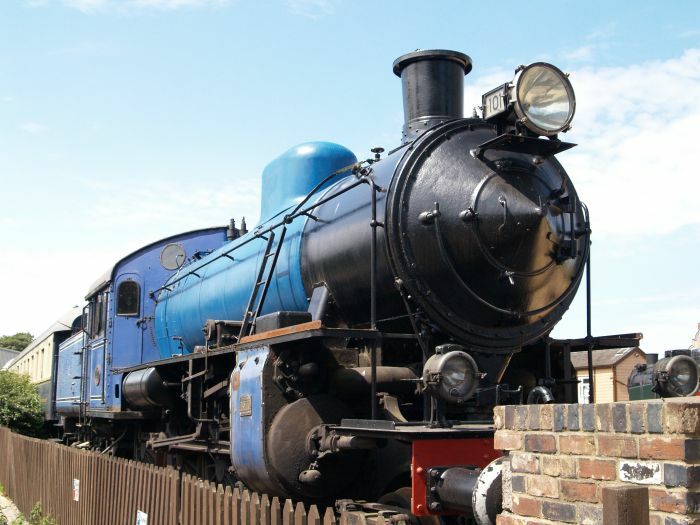 Nene Valley Railway: A fine blue liveried Continental express passenger locomotive. 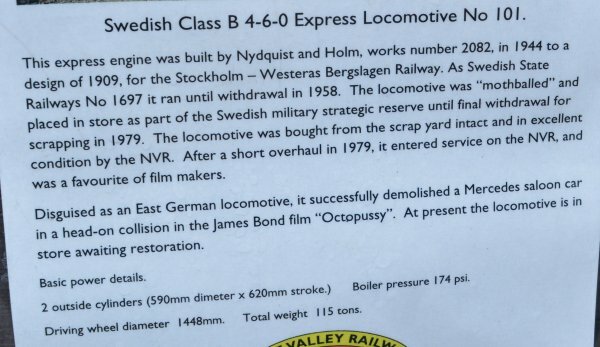 This a Swedish B Class 4-6-0 express locomotive number 101 (or 101A). 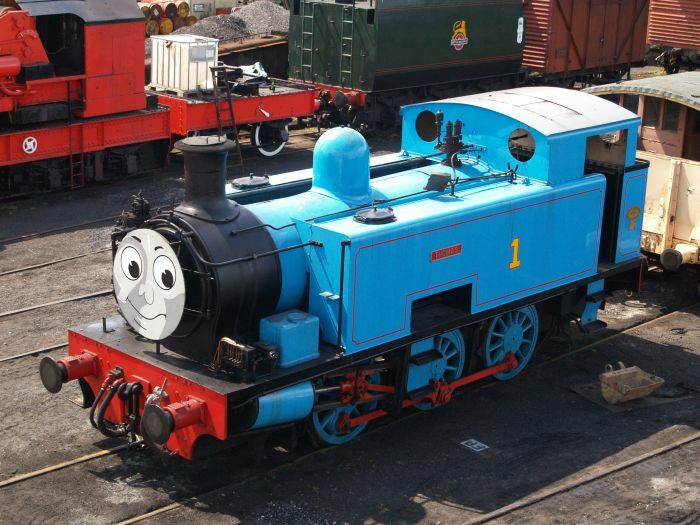 It says NOHAB on the piston cylinder? 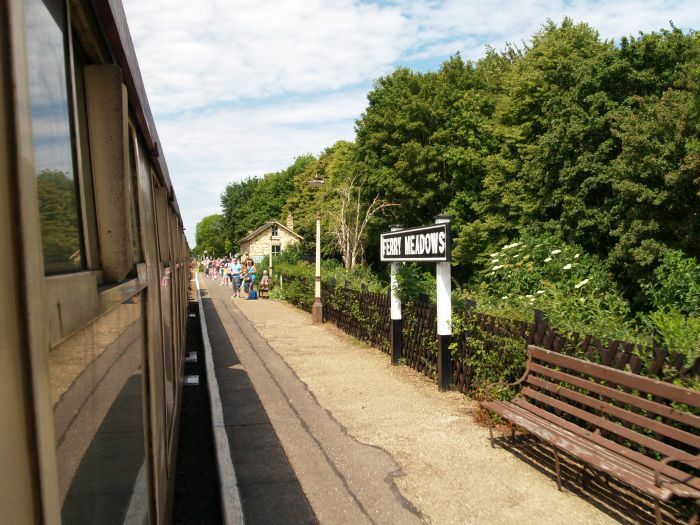 Nene Valley Railway: After a good look round the railway journey continued on to Yarwell. 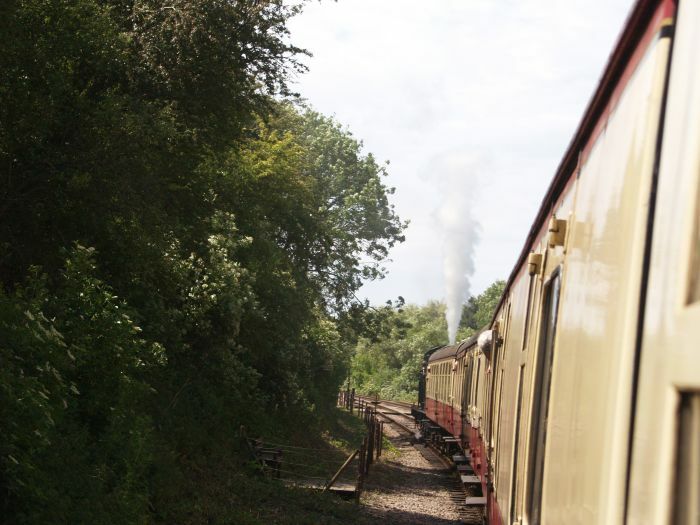 Nene Valley Railway: Leaving Wansford for Yarwell passed some restored Continental carriages and through Wansford Tunnel. 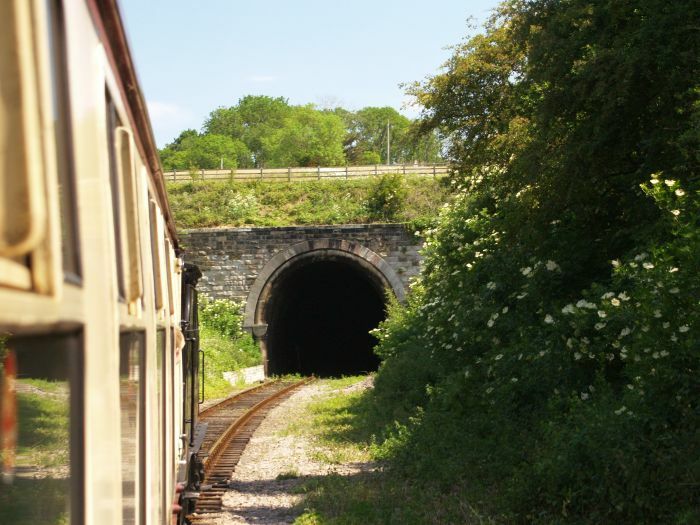 Nene Valley Railway: The entrance to Wansford Tunnel. 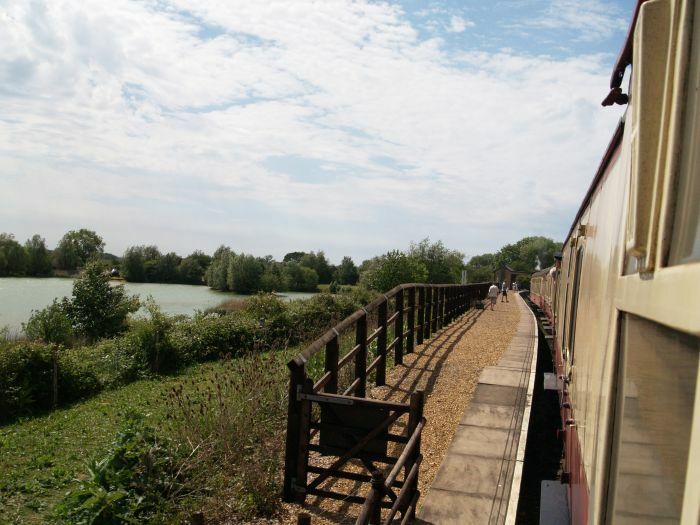 Nene Valley Railway: Heading for Yarwell. 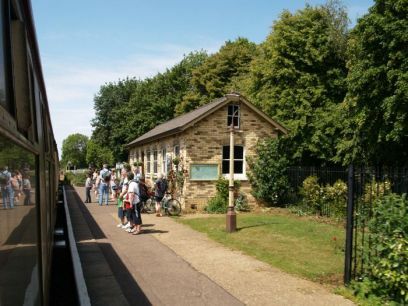 Nene Valley Railway: Yarwell Station, the western end of the Nene Valley Railway. 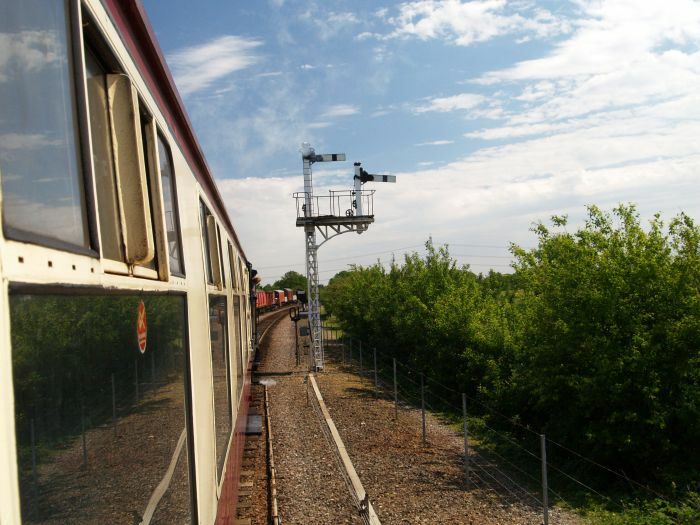 Nene Valley Railway: The rural landscape around Yarwell Station. 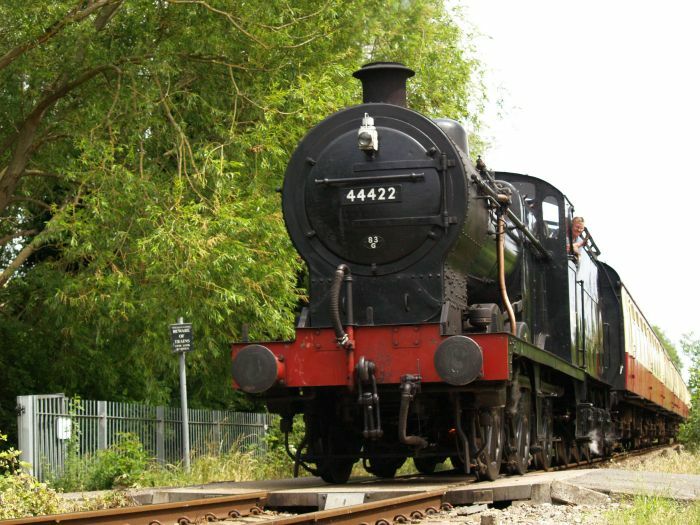 Nene Valley Railway: A portrait of Ex Midland Railway and LMS 44422 at Yarwell station. 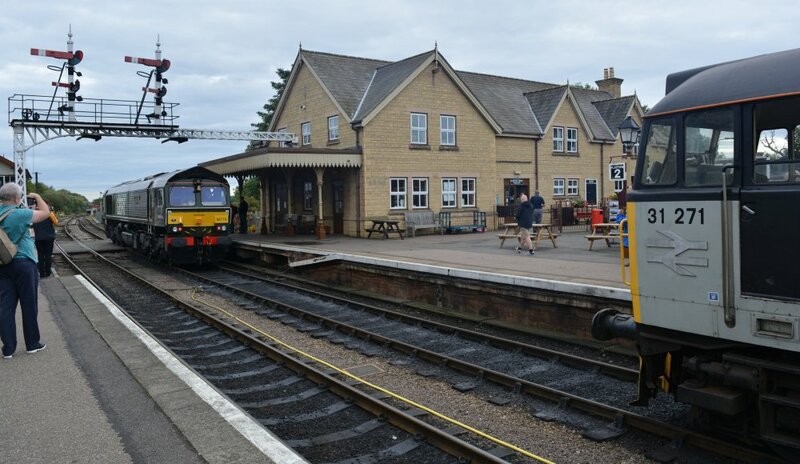 Nene Valley Railway: All ready for the return trip to Peterborough and a great day out on the Nene Valley Railway. 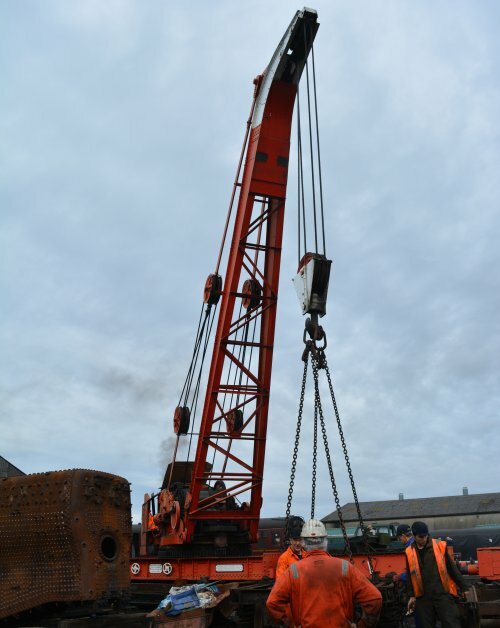 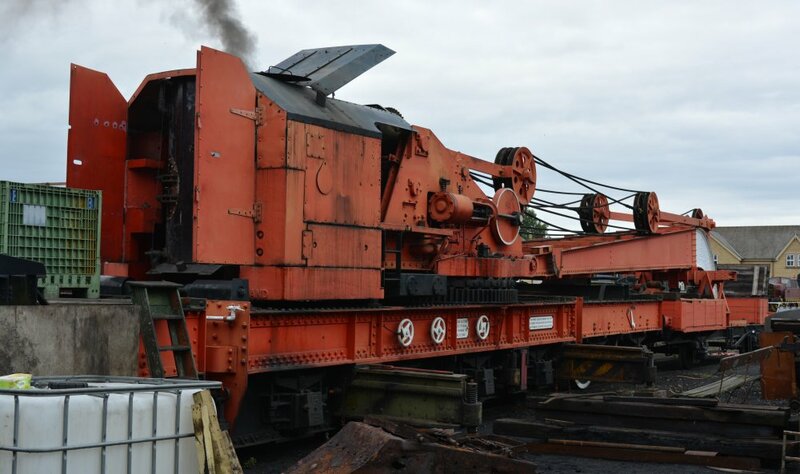 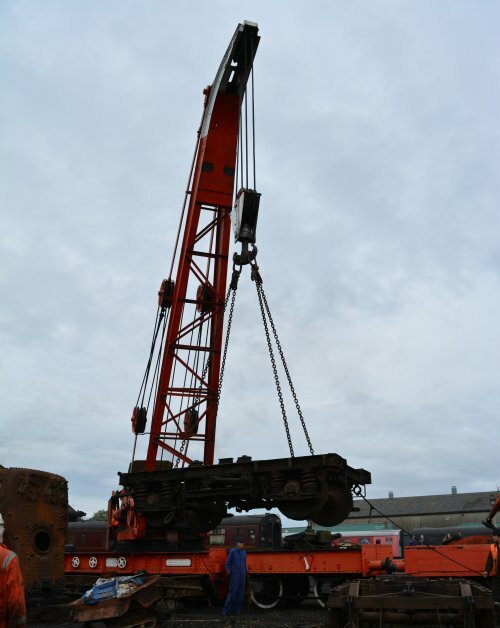 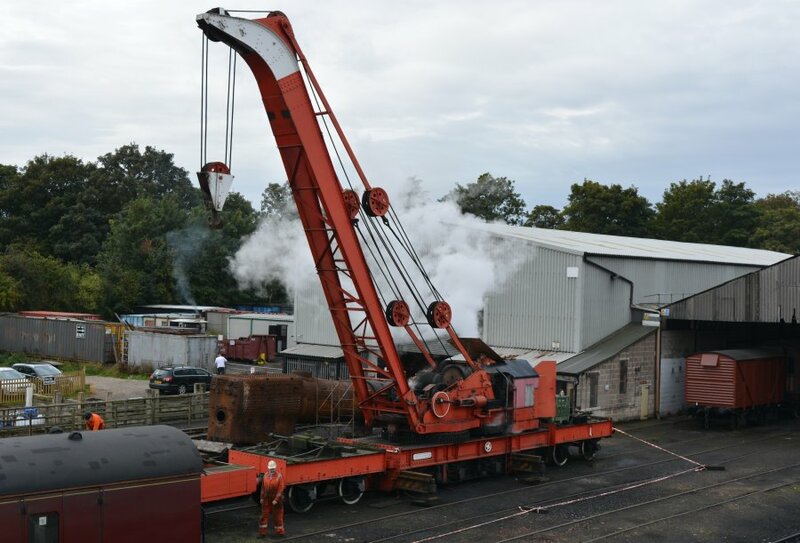 The steam crane in Wansford shed yard.